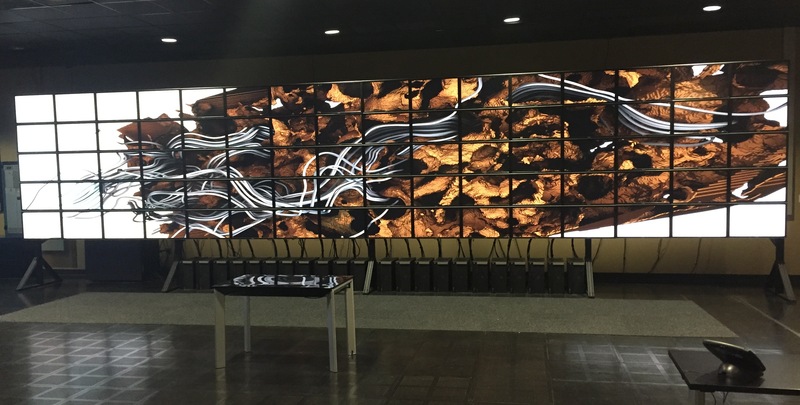 This photo shows OSPRay running on the Stallion 328 megapixel tiled display at the Texas Advanced Computing Center (TACC) visualization lab. OSPRay is rendering in an MPI parallel mode and interactively streaming to the tiled display via its DisplayCluster interface. These features are scheduled to be released in OSPRay v0.9. The model used is courtesy Florida International University and the Texas Advanced Computing Center, and stems from a simulation of Ground Water Flow performed by Florida International University.